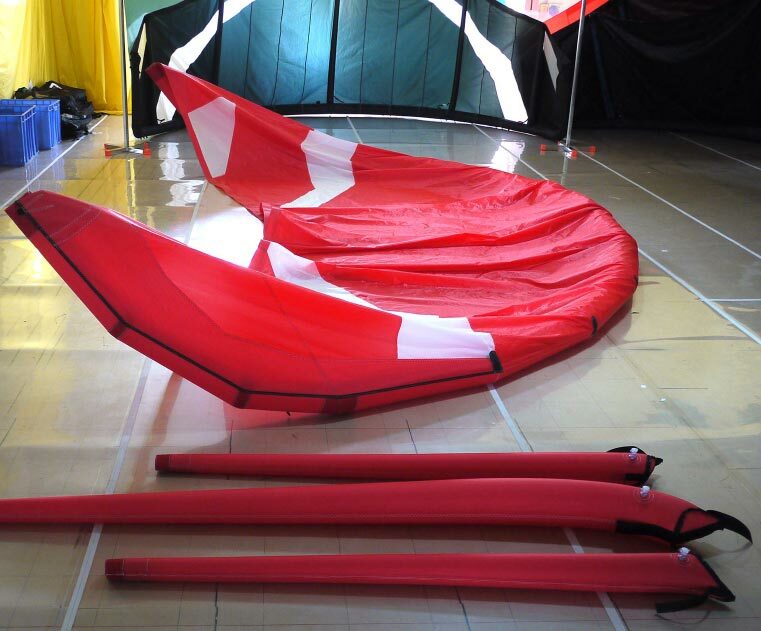 TheKiteDesigner wrote: I also designed a strutless kite, with attachable struts wth a clever velcro system, so you can have a strutless, 1 strut, 2 strut or 3 strut kite, by adding struts. Kite worked great, but I did not want to go into production with it, now the idea is out there, some other kite company may bring it out as the next original game changer idea. Unless its been done before somewhere I don't know about, I can assume I came up with the idea. Only downside is its not 1 pump. I also tried this many years ago before the strutless kites came out since I hated to sew struts to the leading edge with my household sewing machine. It took me so much time and it was really annoying. So I built two strutless kites and mounted the struts with straps, velco and a short zipper. I flew the kites with and without the struts. Great idea but it was not worth the extra effort since the kites were not flying **that** much better with the struts attached. And yes no one-pump and extra weight (but better relaunch). So I ended up with one fixed strut in the center which I think is a very good compromise for hobby kite builder. 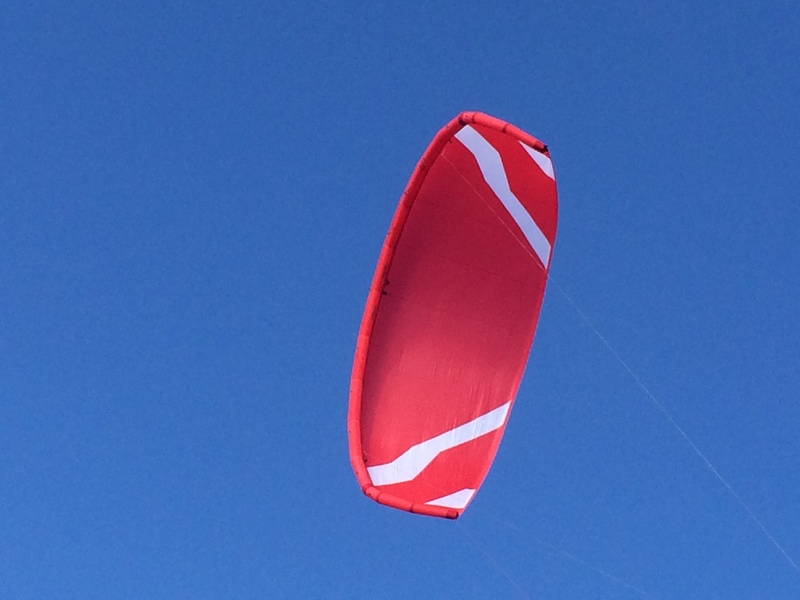 The thing that takes the most time for me with a new kite design is getting the bridle perfect, perfect width, height, attachment points, each bridle length correct, tow point correct etc, Do you have a method for finding the ideal points and location and length for making a bridle on a kite? When you say "I was hoping the project would improve my sewing skills", how skilled were you before doing this kite? Can you summarise number of hours spent on sewing? It looks like the above shop is a professional shop, is it yours, or is that Wingworks where they cut the fabric? After some Nasa chutes and powerkites (speedwing etc) year and years back about time to build something again. My sewing skills and Pfaff 1222 combined with the thought through plans of PanTau or Thekitedesigner should allow me to succesfully build a strutless. I currently own and fly a 10m Trip (1st version) and would like to build/own a bigger and smaller strutless. The Gong strutless kites have very attractive pricing should it should pay off to build one myself. If price of materials is below that of new gong strutless I would happily invest some time. Karsten en Steve, could you give me cost estimates for materials (7m and 13m strutless)? Could you please re post the above youtube links as it looks like something's gone wrong? You can find Dacron there as well, but they might fold it for shipping. Depending on location, one might get away with no VAT. Which is 19% I think in DE, and is attractive price for a non EU buyers.